When it comes to fashion, we don’t like to follow the crowd. For starters, the clothes they wear on the catwalk are sooooo not our style (or practical in ANY way) and why would you want to look like everyone else in the world? Instead, we love to spend our time finding some of the best-hidden gems from vintage stores to give our outfits a certain Je ne sais quois that you can’t buy in your average department store. However, every wardrobe needs staple items that can go with everything, and it’s not different for vintage clothing. No wardrobe is complete without a party dress. How else are you going to woo everyone with your awesome style? Luckily, if you’re more vintage-y inclined, there are so many options for an epic party dress that will get heads turning. The ‘80s is the perfect era for a cool party dress that won’t look too much like a costume, but having that slight edge that makes it obvious, you haven’t just bought it off the rack. But be warned: ‘80s party dresses are already pretty jazzy, so there’s no need to add a load of accessories into the mix as well. Otherwise, you’re heading towards a major fashion faux pas. Ahhhhh, a good ol’ trusty pair of boots. You really can’t beat them. Nowadays, it’s so easy to buy brand new boots that are supposedly ‘vintage.’ However, you then have the hassle of breaking them in – which can be ridiculously painful and tedious. So why bother breaking them in when someone else can do it for you? Whether you fancy combat boots, cowboy boots, or ankle boots, you can normally find a whole host of worn-in boots that are comfy as heck. Plus, they look amazing teamed up with your ‘80s party dress. When it comes to outerwear, a denim jacket can do no wrong. The best thing about a denim jacket is that you can team it with anything. Want something to go over your party dress? Sorted. 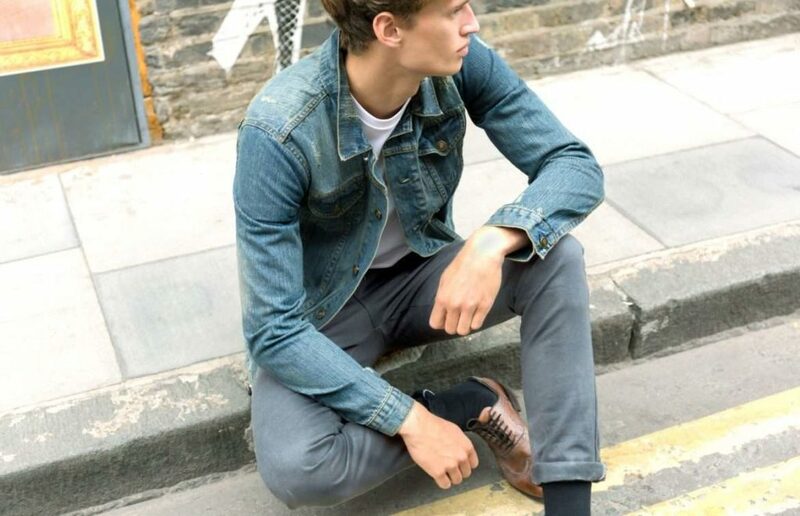 What to rock the double denim look? You go for it, girl. The opportunities are endless. In terms of vintage denim jackets, the rule of thumb is the bigger, the better. Oversized denim jackets are all the rage and can be easily found in the depths of any vintage store. When we think of vintage, flannel shirts just swarm in our mind. Sure, vintage is all about looking cool and unique, but it’s also about being comfortable, and there is no way anyone could NOT be comfortable in a flannel shirt. Whether you wear it buttoned up, or you wear it buttoned down over a cool t-shirt, or whether you don’t even wear it at all and simply tie it around your waist, flannel shirts are the perfect addition to any outfit. They give a pop of color, they give a pop of pattern, and they look darn cool. 50/50 tees are all the rage for anyone who wants to spice up their outfit with a bit of extra vintage. But what is it? Well, a 50/50 tee is made from 50% polyester and 50% cotton. These kinds of tees were hugely popular back in the day, especially for brands who wanted to print their colorful and cool logos and slogans on them. So when it comes to finding the perfect tee, we say the bolder, the better! Are you looking to add a bit more vintage into your life? Check out these 5 vintage essentials everyone needs, and become the retro fashionista you’ve always dreamed of being.